KathKath Studio is the collaboration between textile designer Kathy Schicker and graphic designer Kathryn Pledger. The artistic collaboration behind KathKath Studio was inevitable for textile designer Kathy Schicker and graphic designer Kathryn Pledger. Meeting through a chance encounter with their young children in the local park, the creatives discovered they shared much in common as neighbours and artists drawn to surface pattern design. Today, the award-winning design duo enhances and enlivens the wardrobes of stylish women with their colourful and imaginative accessories and scarves. The contemporary creations are bold – marked by extravagant imagery of flora, geometric patterns and abstract visions from digital realms. Each design is created in an exclusive run of limited pieces, made for enduring quality and style. 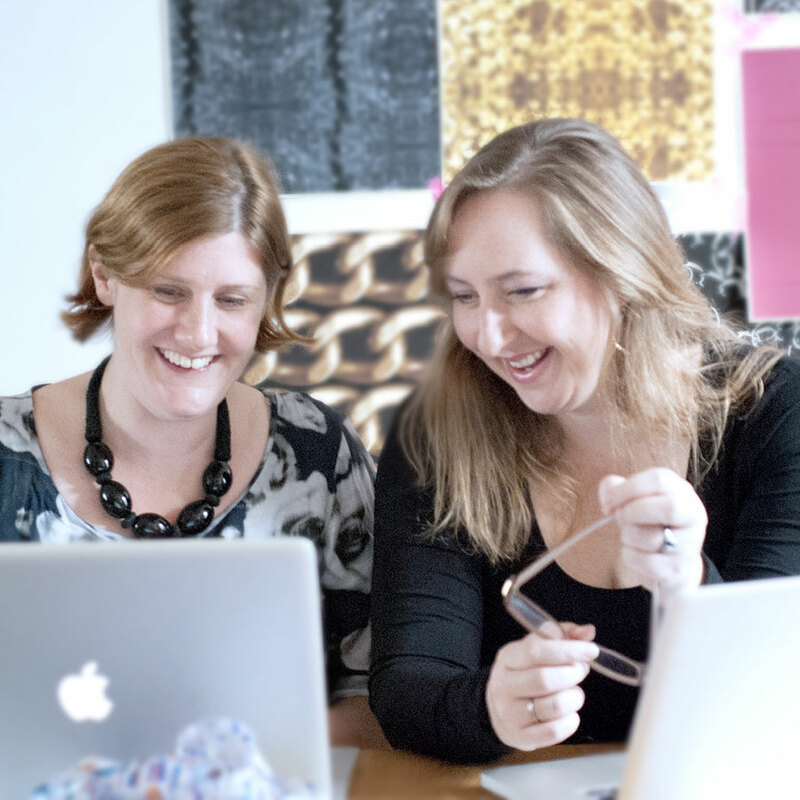 And when they’re not layering motifs for luxurious scarves, the busy entrepreneurial mums teach textile design workshops in London and develop bespoke projects for clients in fashion, homewares and interiors. KathKath Studio proudly manufactures in the U.K. and is a member of Design Nation.